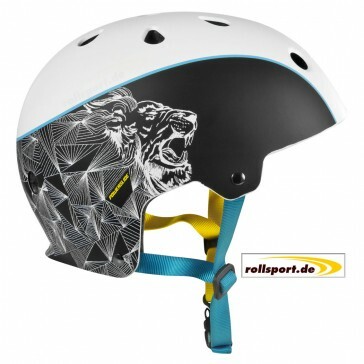 Powerslide King Helmet black white blue - The new Powerslide King helmet is a hard shell helmet. 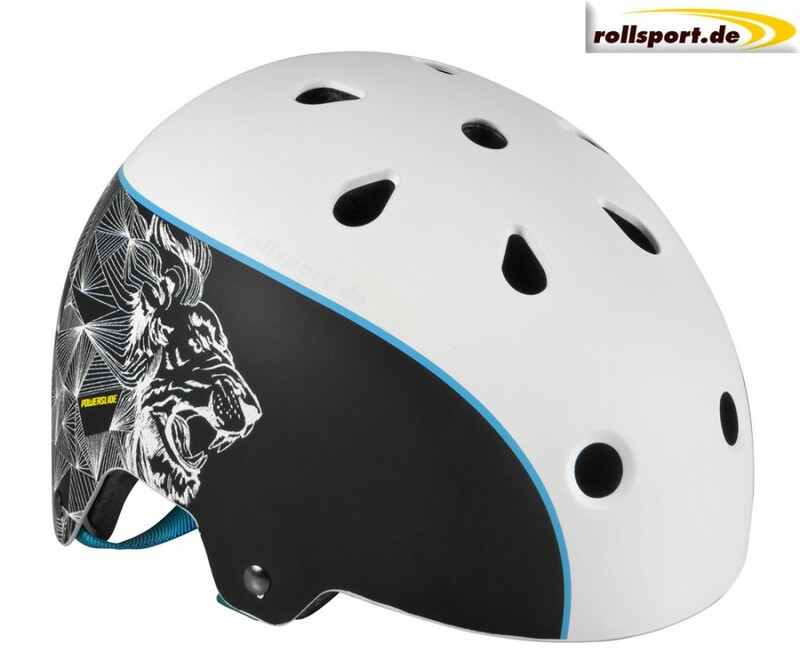 Available in S / M = 55 - 58 cm and L / XL = 59 - 61 cm. 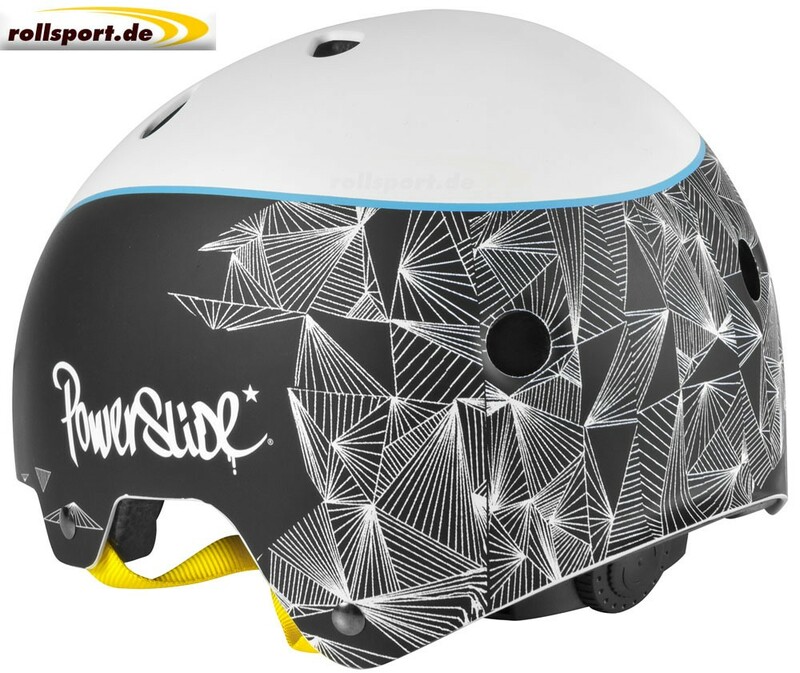 The Powerslide King helmet is a stylish and comfortable helmet for wild skaters. Everyone knows how fast a fall happens and how fast a dangerous injury can occur. 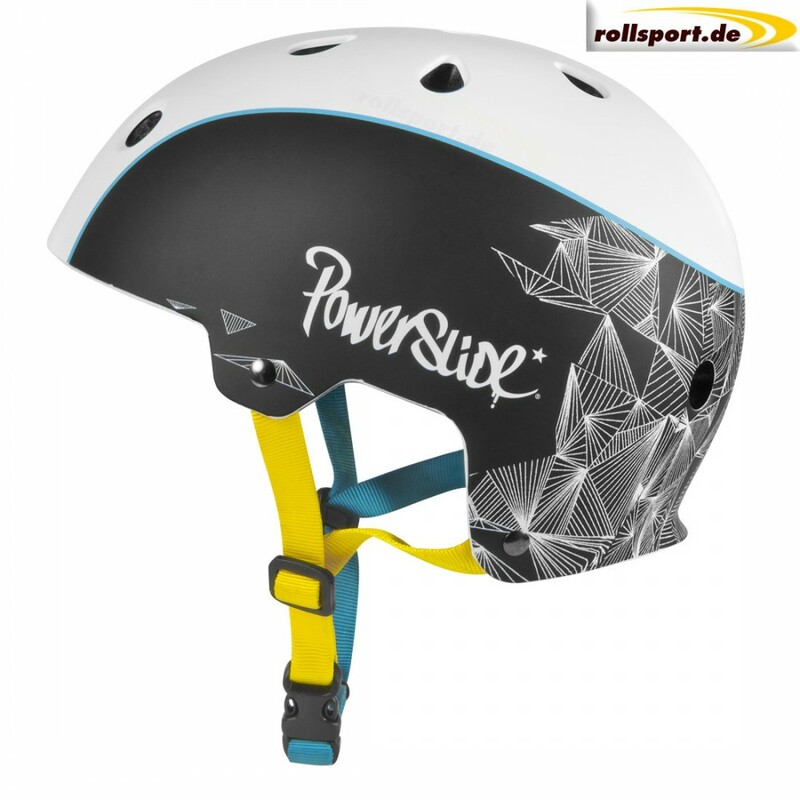 Safe and cool skating at the same time is the Powerslide King helmet.